It would have been unthinkable a century ago, but modern surgery now makes it possible for hundreds of thousands of people worldwide to have open heart surgery each year. This complex procedure needs the heart to be stopped while it is worked on, and its functions are taken over by a heart and lung machine. Open heart surgery is done for complete heart transplants but it is also an integral part of a coronary artery bypass operation and the surgery required to replace a heart valve. Having open heart surgery is now very successful but it is not without risk. Doctors and researchers are looking at ways to make it safer all the time. One of the problems that can occur after someone has been linked to a heart and lung machine is that their blood does not clot normally for several hours afterwards. This can lead to major complications as the wound sustained during the surgery can bleed unexpectedly, causing a medical emergency and creating the potential need for a blood transfusion. Researchers looking into the problem have realised that patients having open heart surgery who bleed the most afterwards have lower levels of a chemical called fibrinogen in their blood just prior to the surgery. 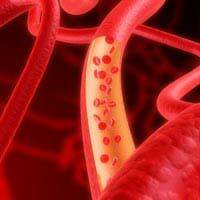 Fibrinogen is a naturally occurring protein that is changed into fibrin as blood clots. Blood clotting is a complex sequence of events that is controlled by many different enzymes. Thrombin is the one that acts on fibrinogen. Fibrin itself has been implicated in inflammatory diseases such as rheumatoid arthritis but now its precursor may hold the key to safer cardiac operations. Trials took place in Sweden in which patients were given doses of fibrinogen concentrate just before they underwent heart surgery have shown that this replaces the natural fibrinogen, bringing blood levels up, and preventing bleeding after surgery. The experimental treatments were given to Swedish patients being treated by doctors from the University Hospital in Gothenburg and researchers from the University there. The study that has just reported was a small pilot but the results were very encouraging. Not only did patients treated with fibrinogen concentrate experience a much lower risk of bleeding, the patients who were given the experimental treatment suffered no ill effects. The action of the fibrinogen seems to last during the crucial few hours after their surgery, but then the fibrinogen levels return to normal within a couple of days. Even so, testing out any new treatment needs very large trials to show that it is effective and safe in more people, and heart surgery patients are being actively recruited to take part in these trials over the next couple of years. In treating patients for heart surgery, the benefits of reducing the risk of bleeding are obvious but patients undergoing other types of major surgery could also find fibrinogen pre-treatment helpful before their operations. All types of transplant, including kidney and liver transplants can be less successful if there is excess bleeding afterwards. If the trials in heart patients go well, the treatment would then need to be trialled in different groups of patients having other types of major surgery. If it proves to be successful, it will be important to control the amount of fibrinogen used very carefully as chronically high levels of this blood protein have been linked to a higher than average risk of heart attacks and strokes. Ironically, having low fibrinogen is likely to protect your heart and circulatory system in most circumstances except for if you have to have major cardiac surgery. Then, and only then, are higher fibrinogen levels protective.